I can never pronounce it Nar-rah-toe. It always comes out Nar-doh. 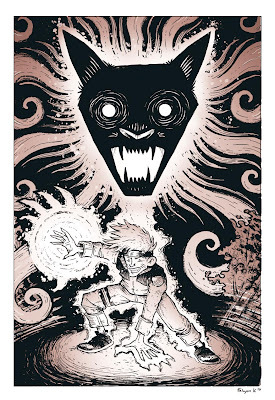 Ive seen some of the show and I've read some of the comic, the whole fox demon trapped inside him thing is cool. One fun theory of why the Japanese answer the phone with "Mushi Mushi!" is because a fox demon as trouble saying those words. So if the person on the other line has a tough time answering the phone with "mushi mushi", be suspicious.